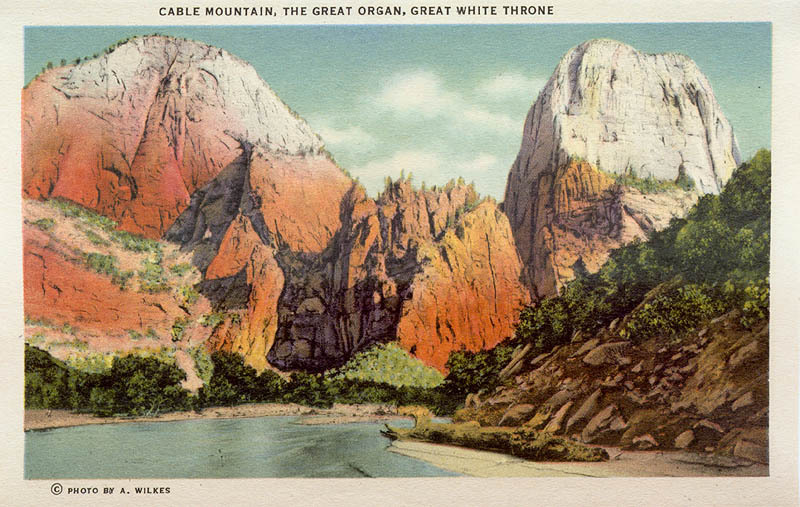 Some historical tidbits related to canyoneering in Utah, ranging from Zion National Park archival documents to trip reports of canyon first descents. 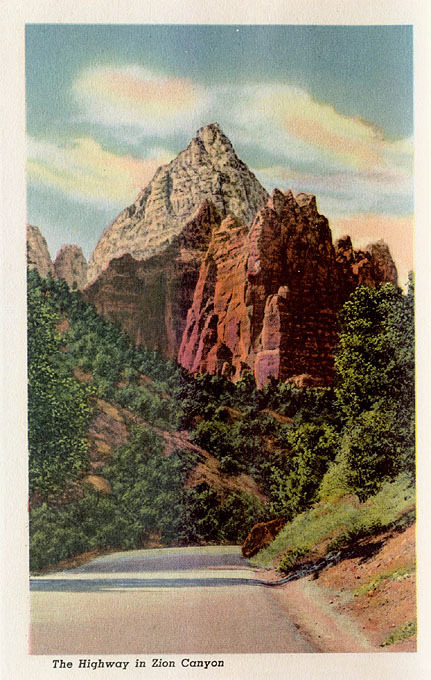 While working on my Zion book, I came across the National Park Service Archive of Historical Photos. I found a few of them pretty interesting, so I made up a Latest Rave Zion Historical Page about them. This is a nice postcard set from 1938. I have scanned them into images that are twice as big as this one (generally), and made links that pop up in a new window. I would suggest making this window tall and skinny on the left side of your screen, and making the picture window on the right. Enjoy. 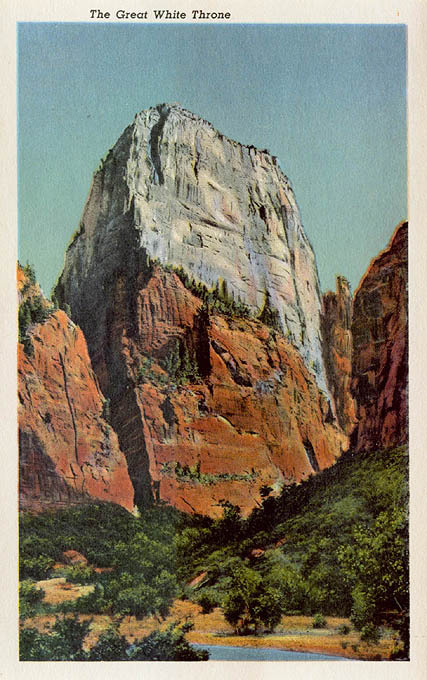 A Zion Trail Guide from about 1960. Thanks to Leif Bennett for scanning, typing and posting this interesting booklet. 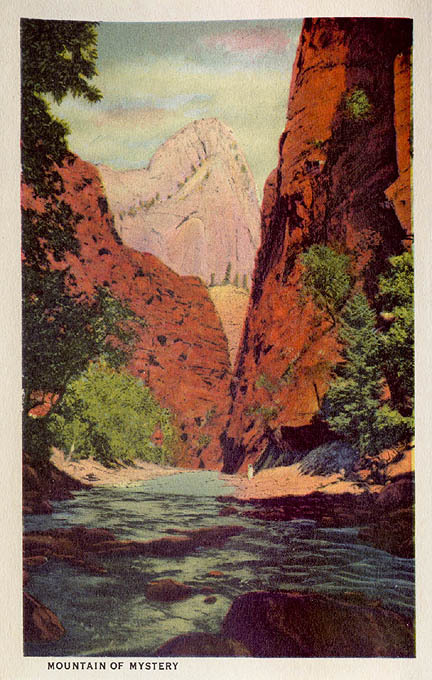 Zion National Park has long been a center of canyoneering in the USA. 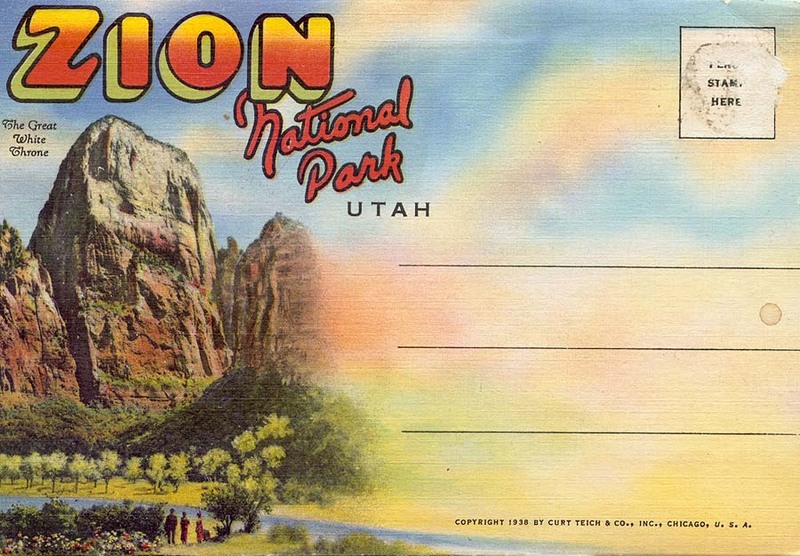 One of the unique aspects of the Zion scene is The Black Book, a collection of trip reports kept at the visitor center, that makes for interesting reading on those rare rainy days in Zion.